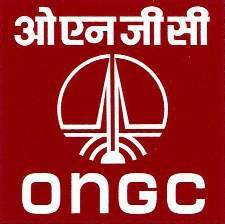 ONGC Recruitment 2013 – Oil and Natural Gas Corporation (ONGC – A Maharatna Public Sector Company of India) inviting online applications for the regular post in western sector (Rajasthan State) for various posts for Indian citizens within the state of Rajasthan. It is a public sector enterprise engaged in exploration and production of oil and gas in India and abroad with an big investment of over 10 Billion USD in 16 countries. Job Post/role- Technical Assistant, Technician and Accountant in various fields. Last Date of receipt the complete Application form– 04 January, 2013. Date of Written Test- 03 February, 2013 (More details about Venue & timing of test will be given in Admit Cards). Interested and eligible candidates can apply online for a deserving post among a number of vacancies in ONGC for western sector within Rajasthan State. Must read the official advertisement attached below before applying for any post under ONGC recruitment 2013. ONGC provides a online interface to apply directly (further instructions are given in the following attached document). Keep visiting us for more job and results updates. Also, we will post the information about How To download Admit Card from ONGC website. Best of luck.